Michael Jackson Forgeries Flood the Market! 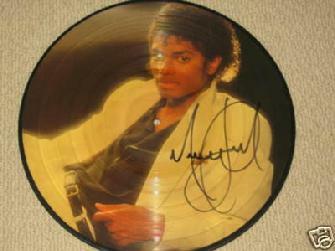 There will be loads of people out there trying to make some fast money off of Michael Jackson valued signature. Michael Frost President of the IADA-CC in a interview with the media last night stated that eBay is well aware of this problem and he and others are helping to examine the items being offered as we speak. Mike Frost was examining eBay items last night until 3.45 am. Michael Frost stated that at 6.30 PM on Thursday June 25, 2009 there were 163 signed Michael Jackson signed items on eBay. Of the 163 signed items 15 were PSA/DNA certified, 89 were reprinted signatures 48 were 100% forgeries, and only 14 others were 100% authentic with the rest being questionable. By 11:35 PM there were 675 signed Michael Jackson signed items on eBay with over 70% being 100% fake. When purchasing a Michael Jackson autograph or any other signed item, the item should be accompanied by a Certificate of Authenticity (COA). COA's are an important aspect in the process but buyers need to be careful. Anybody can issue a COA with an autograph item but this doesn't mean that the item is 100% authentic. Who issues the COA is the most significant factor. The dealer standing behind this "guarantee' should be reputable and offer a 100% lifetime guarantee as well as a invoice with there Name, Phone Number, Address and Website. You ate always best purchasing from a IADA-CC or UACC Autograph dealer. Do not make a mistake a buy a fake autograph,do your homework and ask a lot of question. Michael Jackson was a great person and a very good signer but ask where when and how the signature was obtained. If you are not sure, or you already own autographs and are not convinced that they are authentic? There are third party authentication services such as James Spence, Roger Epperson, P.A.A.S., Al Wittnebert that can examine your autographs and determine if they are 100% authentic. They would then issue a Certificate of Authenticity. This can help the buyer purchase with a little more confidence. Always trust your instincts. Autographs and Sports memorabilia are sold all over and a great percent are not authentic. Do not get fooled by the price. If the price of an item is too low to be true, it usually is. Try to always support the IADA-CC dealers they have solid reputations and you'll have an enjoyable buying and collecting autographs.! I am ashamed to say I may have been scammed by this company. I realised with the 50% discount and searching the web the price seemed too cheap and saw the reports about 'fake items'. I am also concerned from the clauses they have in their rules about returning items saying you agree that the authentication of their own services is bonafide yet if you try to return you have to prove from another authority that items purchased are fake. So a bit of a contradiction in terms. Wish I had read that before rushing in and purchasing! As I only just placed the order I immediately asked for a refund using their email requesting my order to be cancelled and a refund made. I also tried their phone number but did no get through. Is this a conn?? No reply has been received and the order has not been cancelled as requested. I am concerned they may have taken the money and still will not refund as they send out next day. Please can you advise. Does this sound like the same company they are located Ravensvale??? I am not well off and located in UK I cannot afford to lose my money to rip off merchants. I said to Paypal I cannot understand why they are allowing this company to operate...they are still taking money for them and making money from them do I have any rights with a Paypal payment?? ?